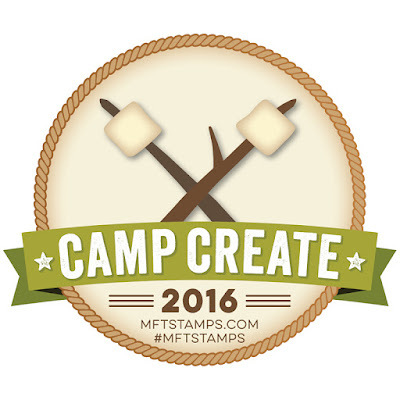 Hello and welcome back to MFT Camp Create! Every day this week we're going back to summer camp to hang out, be inspired and win prizes!! 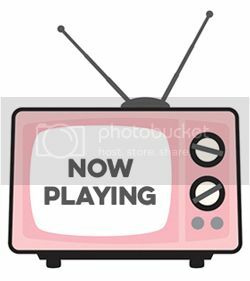 I am so excited to be a part of such a fun event and can't wait to share this week's projects with you! I hope you'll take part and share your creations on the MFT blog. Today at camp we're playing with foil. 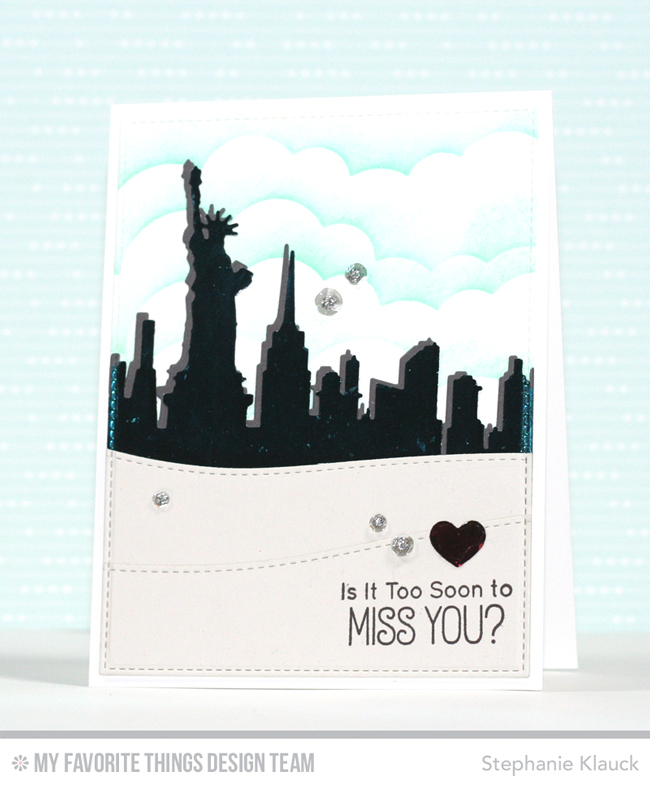 I love the unexpected look a bit of foil adds to a card, and it's so easy to do! For my card today I used a Minc Mini to do my foiling, but you can use a laminator, foil glue, etc... to achieve similar looks. 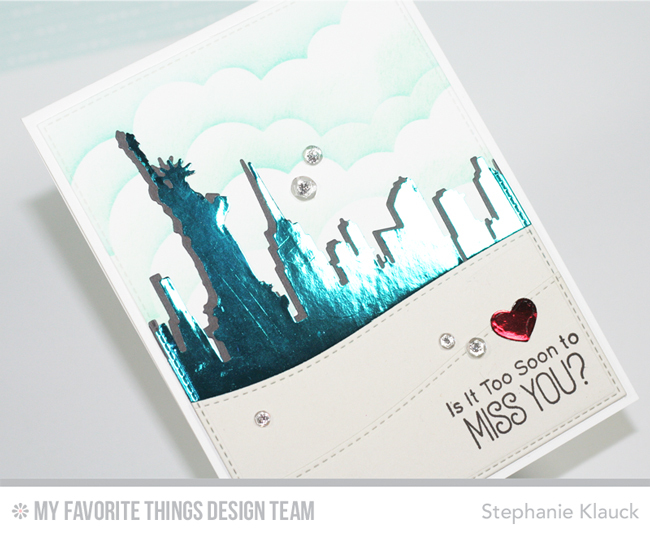 I diecut the New York Skyline die (there is also a Paris and London skyline) from Deco Foil toner paper and then I ran it through my Minc mini with teal foil. It's so hard to capture foil in a photo but you can see the shine of the teal foil in the photo above. I also diecut a heart from the same toner paper and ran that through my Minc with red foil. Once I was done all the foiling, I diecut the rest of my card stock pieces and then I assembled the scene on my card.